7 Players Man Utd Signed To Replace Cristiano Ronaldo: Where Are They Now? During his stint at Manchester United, Cristiano Ronaldo left few doubts to his superiority as the greatest player in the world, the Leo Messi factor in the GOAT debate still a few seasons away. Through his heroics, the Portuguese superstar managed to both continue the history of the no.7 jersey as well as ensure that it attained a charm of its own. The Italian youngster was taken under the tutelage of Manchester United’s youth ranks when he was just 16 years of age, with much promise hyped unto him. This was certainly realized during his stints in the club’s U-18 and reserve sides. His prolificacy was finally rewarded in 2009, when he was brought on into the senior-team against Aston Villa when United were trailing 2-1. 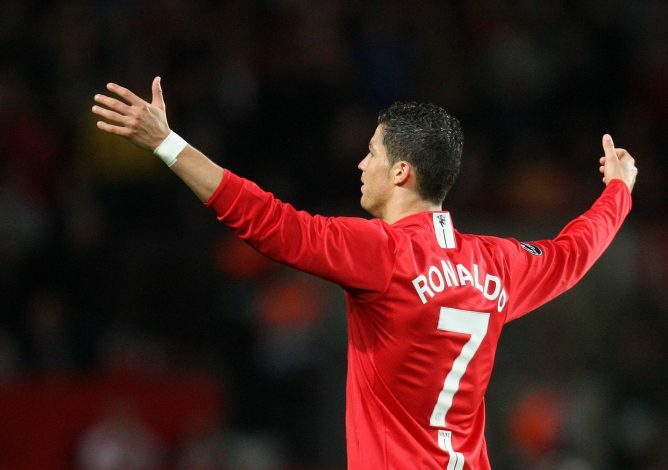 Ronaldo equalized, following which Macheda won the Red Devils the game in Fergie time, completing his dream debut. Unfortunately for him, injuries, loan spells, and lack of consistent form kept marring his United tenure, with the youngster never being able to realize his potential fully. Presently 27, he plies his trade for Superleague Greece club Panathinaikos after decent spells with Cardiff City and Novara. Amongst the lesser known names on this list, Obertan was a promising French winger that Manchester United signed from Bordeaux, also in 2009. In what may be a recurring setback in this list, the player’s early days at Old Trafford were haunted by a spinal problem that did not allow him to be played consistently. Unable to receive regular first-team football, he eventually moved to Newcastle United and presently functions in the Turkish Super Lig. One of two players in the list who still occupies United’s roster, although that will change come summer. The Ecuadorian international was signed by the Premier League giants in 2009 from Wigan Athletic. However, he wasn’t awarded the no.7 jersey until the 2012-2013 season. Up until then, a mixture of injuries had marred his career. 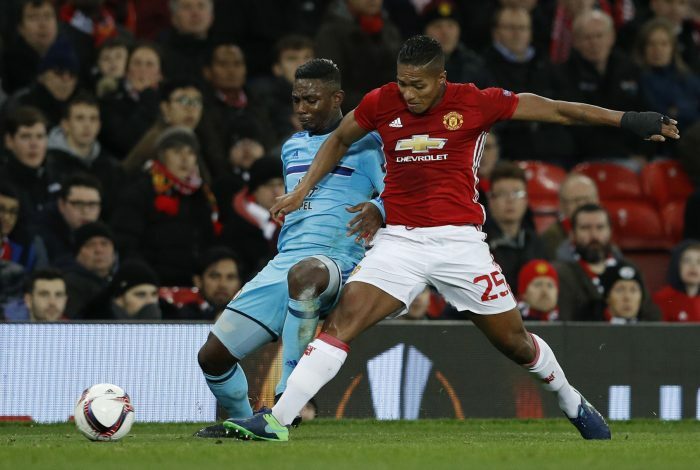 Despite that, Valencia managed to stamp his mark quite well with the Red Devils, with his recent transformation into the right-back role arguably the biggest positive from the reigns of Louis van Gaal and Jose Mourinho. At the time of writing this, United had decided to not renew Valencia’s contract for the 2019-2020 season. Zaha’s promise for Manchester United was highlighted by the fact that he was Sir Alex Ferguson’s last official transfer in 2013. The Crystal Palace academy graduate was believed by many to be the solution to United’s wider flank issues under the reign of David Moyes. However, his season was akin to the disastrous one of Moyes, with the latter end of it being spent on loan with Cardiff City. Simply put, the Ivorian international knew that no solid future would remain at Old Trafford, confirming his stay at Cardiff, following which he moved to Palace where he is their best talent at the moment. Arguably the most infamous name on this list. 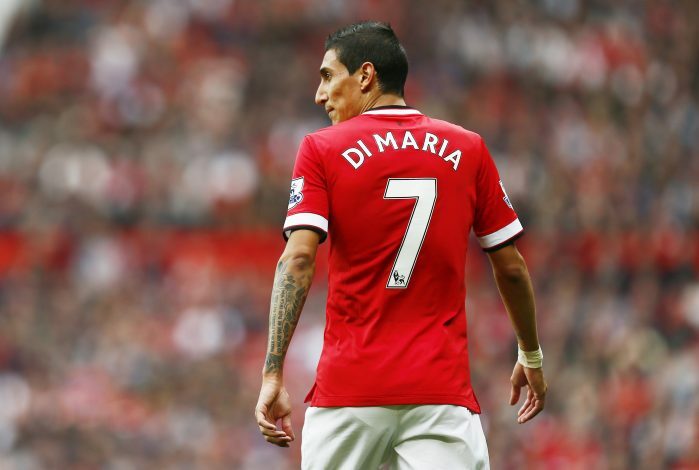 Di Maria arrived in 2014, at the back of a brilliant season at Real Madrid, and more than one Manchester United fan firmly believed that he would be the Ronaldo replacement that the club had been aching for unsuccessfully for years. However, he failed to achieve that, and his tenure lasted only for one season, following which he opted to switch to PSG in 2015. A breakdown in relationships with Van Gaal, who often used Ashley Young and youngster Timothy Fosu-Mensah instead of the Argentine star, was believed to be at the heart of the issues. United fans have never forgiven him for his acts at the club, as clear in their recent Champions League tryst. However, he was unable to string consistent form, and the Van Gaal factor played strong in his downfall. He certainly staged returns to form on multiple occasions, taking advantages of injuries elsewhere in the roster and being their starman in European competitions. Despite that, he left in the winter window of 2016, when it became obvious that he didn’t feature in the plans of the club. The buy-back clause in his contract has still kept many fans hoping though. Despite the player-swap nature of his transfer from Arsenal, the additional costs and his incredible wage package makes him the most expensive Ronaldo replacement on this list. 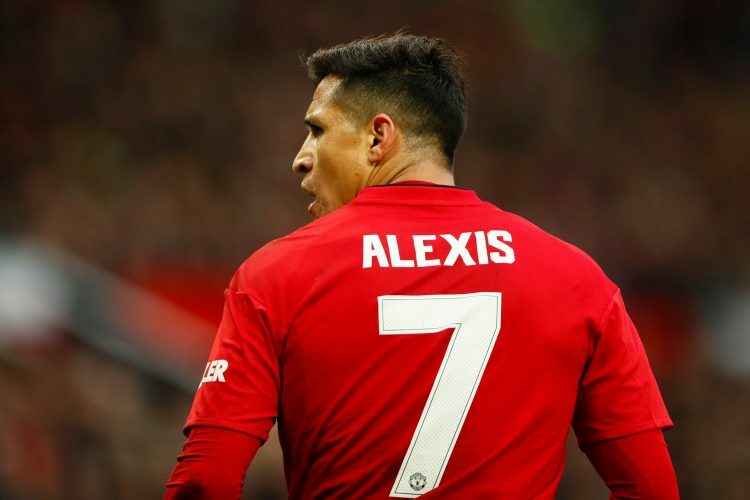 Much to the dismay of the Old Trafford faithful, Sanchez appears to have failed in a similar manner to Radamel Falcao’s loan spell, with the Chilean arguably being the only United player to have not seen a drastic transformation under the Midas touch of Ole Gunnar Solskjaer. Rumors are potently suggesting that the former Barcelona star may shift clubs come summer.